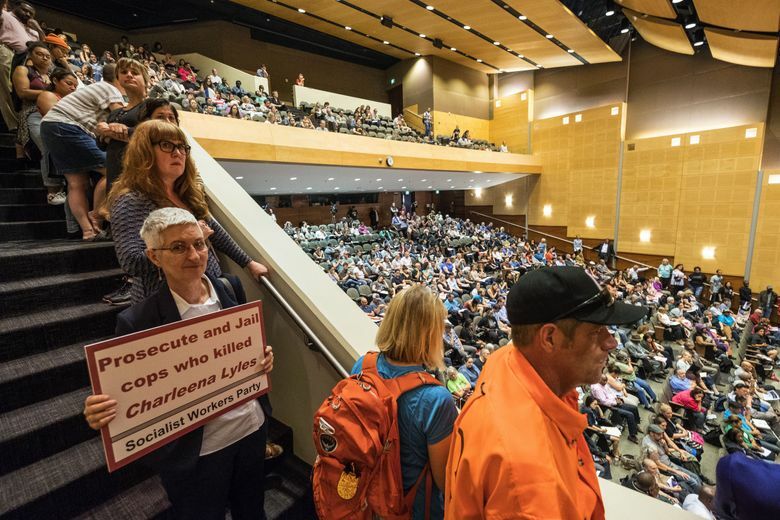 At an angry, overflowing public forum Tuesday night, relatives of the woman shot dead by Seattle police in her Northeast Seattle apartment this month called for better police training and disputed suicide-by-cop theories purporting that Charleena Lyles tried to get officers to kill her. 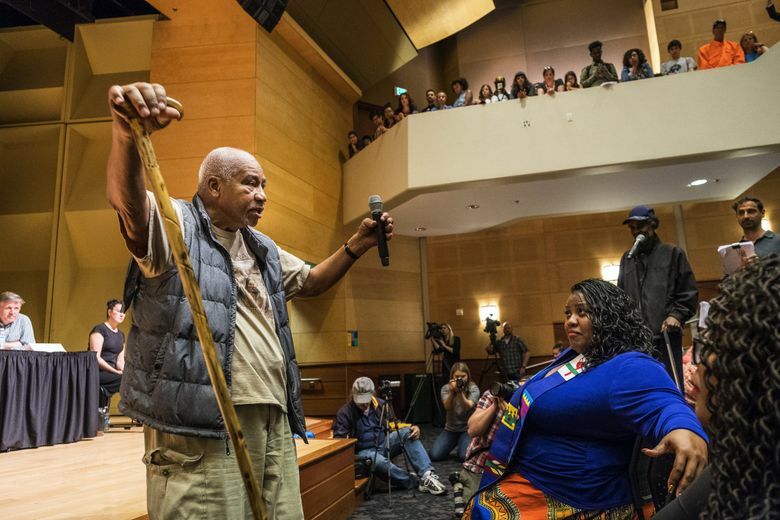 Several other people who took to microphones raged against what they described as police brutality, called for widespread police reforms and variously labeled Lyles’ shooting as a “murder” and a modern-day “lynching” by police. 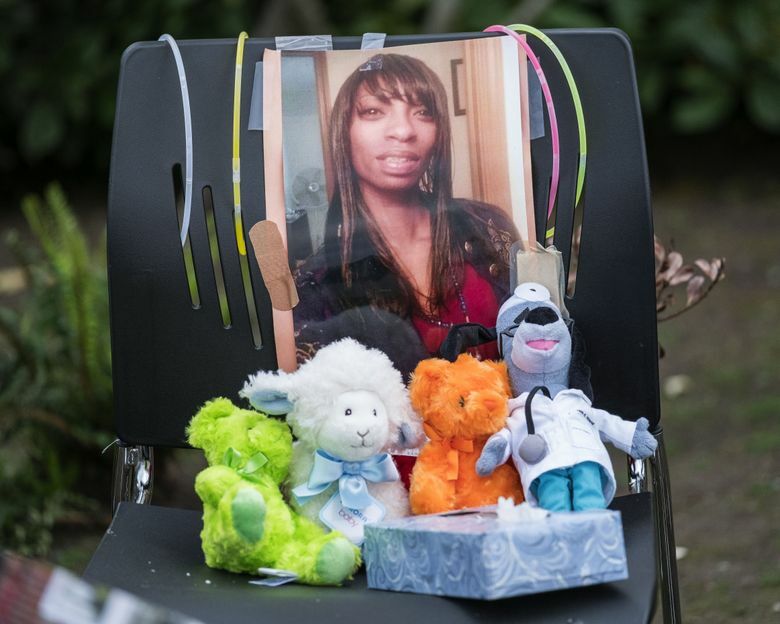 Two officers fatally shot Lyles, 30, on June 18 after she reported a burglary. Police say she displayed two knives after they arrived. Three of her children were home at the time. The Police Department is investigating the shooting. 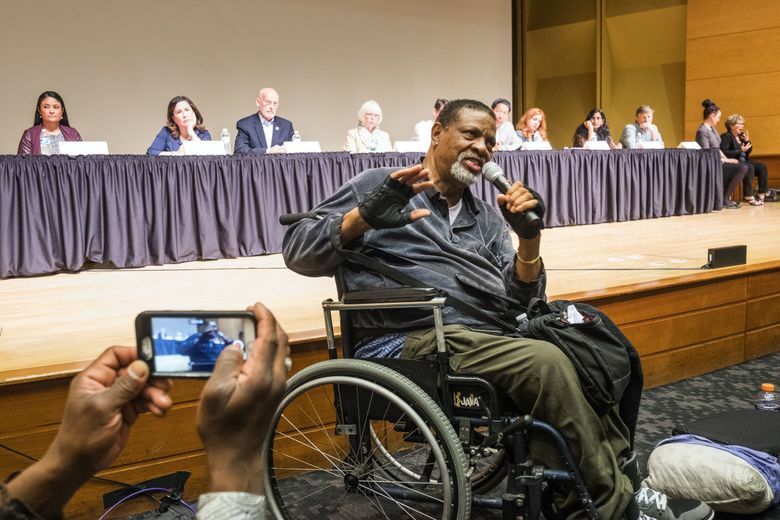 The Seattle King County NAACP this past week called for the City Council and Mayor Ed Murray to host a public hearing with Police Chief Kathleen O’Toole, but the chief declined to attend Tuesday’s forum. 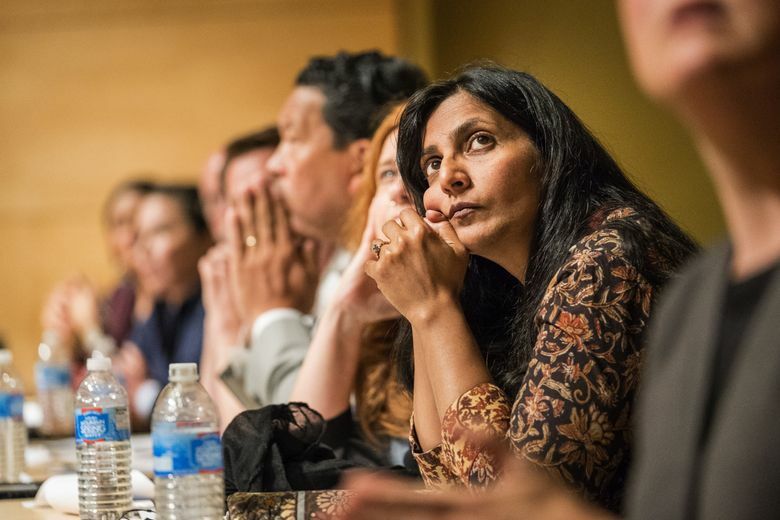 “If Chief O’Toole is not available to answer questions tomorrow, it will reiterate to the community that a business-as-usual investigation will not result in justice for Charleena,” Councilmember Kshama Sawant wrote Monday in a letter to Councilmember M. Lorena González, who hosted the forum. 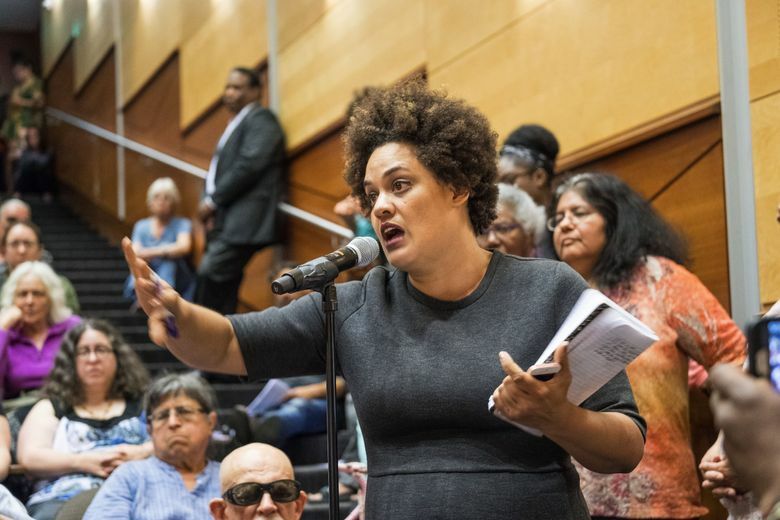 González, who chairs the council’s public-safety committee, said the forum wasn’t meant to be “a public deposition of Chief O’Toole,” but an opportunity for the community to engage elected officials about police accountability, mental health and other pressing issues. “Facts matter and pre-judgment of this incident by any of us would be completely irresponsible,” O’Toole wrote. 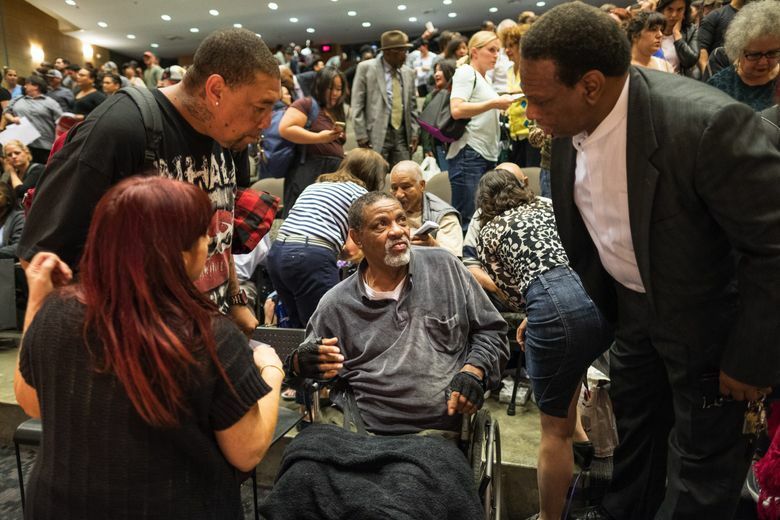 The police department is under a 2012 consent decree requiring it to adopt reforms to address excessive force and biased policing. 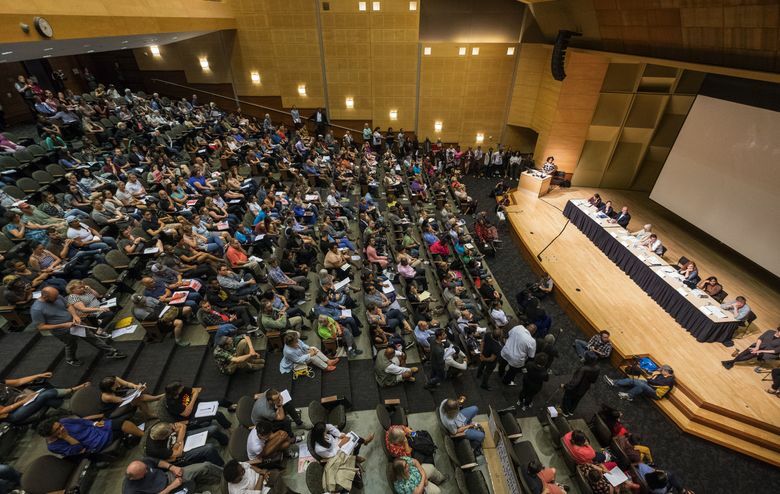 During the at-times fiery meeting, citizens voiced frustrations at a perceived lack of progress on police-brutality issues, blasting city officials for failing to bring about lasting change and accountability. 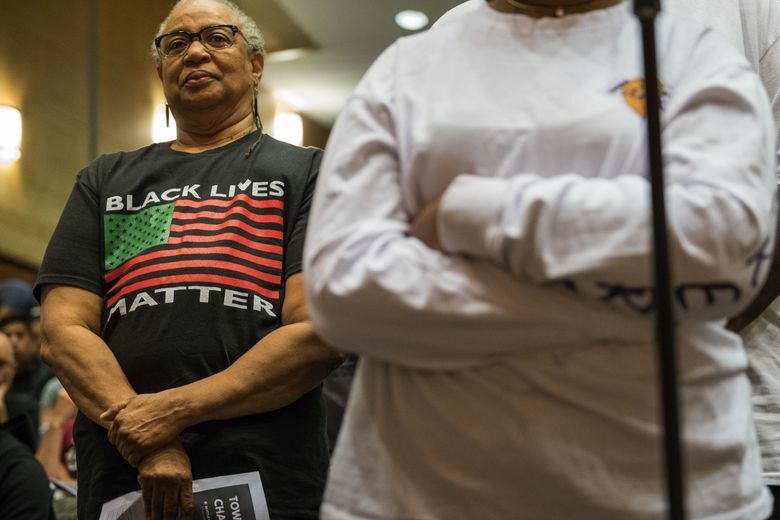 Some criticized recent praise for data showing the Police Department making improvements in its use of force, while others recounted years of suspect police shootings and railed against perceived institutionalized bias against blacks. 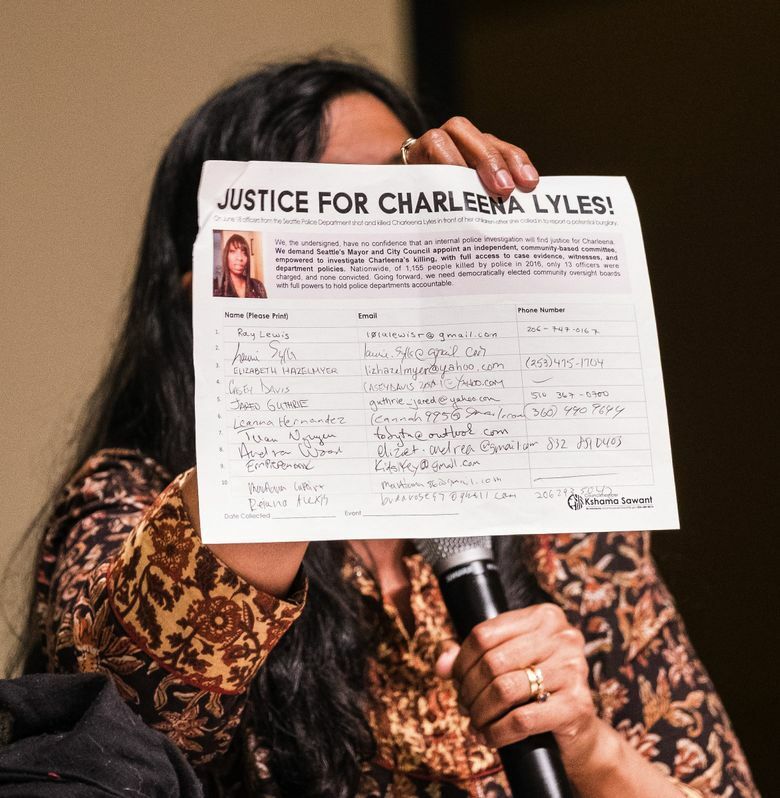 Others criticized what they viewed as a failure by officers to try to de-escalate their encounter with Lyles before shooting her, and some blamed her death on the fact that one officer trained to use a Taser had left the less-lethal weapon in his locker. The police department has released audio and video from the shooting, identified the officers involved — Steven McNew and Jason Anderson — and released their statements to investigators. Lorna Murray, a downstairs neighbor of Lyles, said she was “sickened” to read police reports and hear police audio of the shooting. She said officers discussed Lyles’ mental-health issues from a previous police response to her apartment in a demeaning way before heading to her apartment. 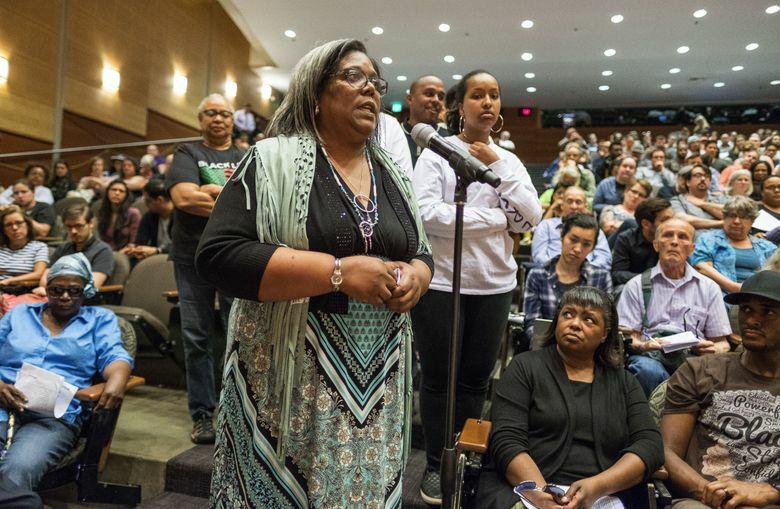 The rules allowed Lyles family members to speak first, followed by women and men of color, then others. 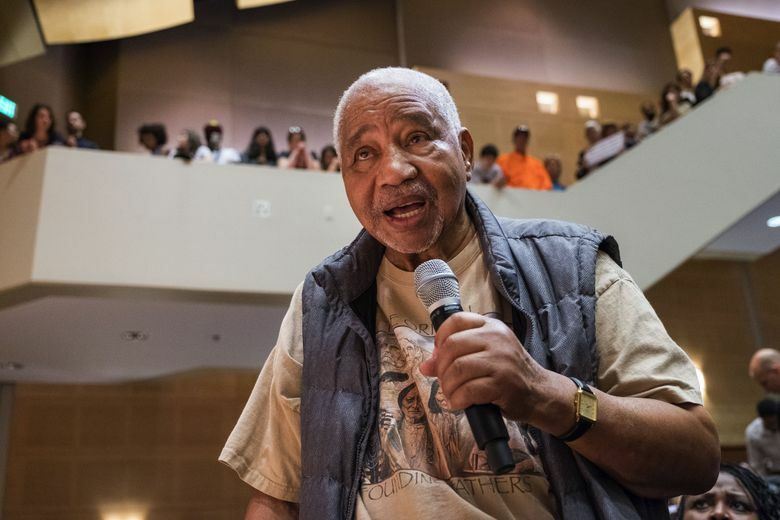 Charles Lyles, Sr. — the dead woman’s grandfather and a retired labor leader and Navy veteran — expressed his concern at what he sees as diminishing police training in how to effectively deal with crisis situations. 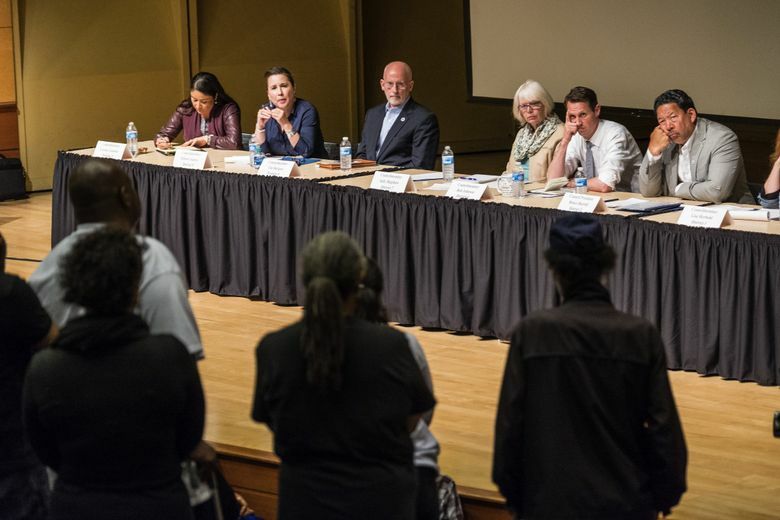 At the end of the forum, City Council members took turns addressing the crowd. “I think the police chief and the police department should be here,” Councilmember Mike O’Brien said. 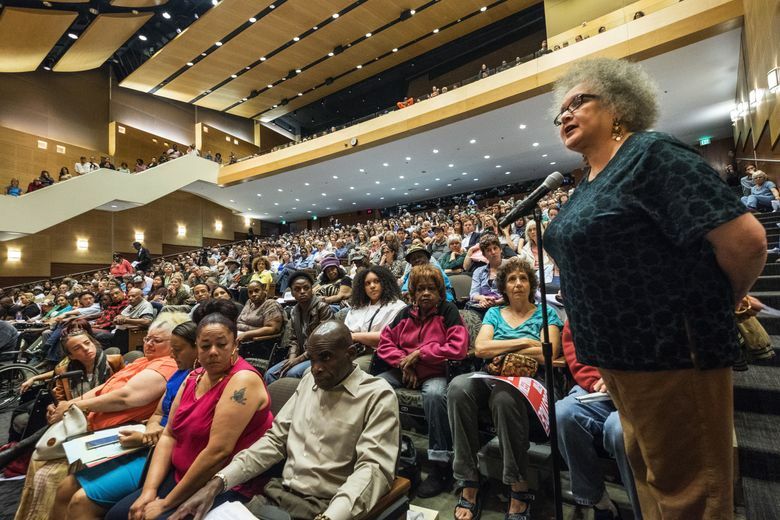 Councilmember Sally Bagshaw said she’d never heard more passion, anger and fear expressed during a public hearing. “I am not the same person leaving here that I was when I walked in that door,” she said. Daniel Beekman: 206-464-2164 or dbeekman@seattletimes.com. Twitter @DBeekman. Information from Seattle Times archives is included in this story.